This year has been a long year for me, and now that we are at the end I can say that my results are so personally satisfying that I find myself in a wonderful state of contentment. I understand that ever more is unfolding so that I can continue to reach, stretch and expand. But as I look back at the year I can see 4 Key Beliefs that I honestly faced and finally released, producing very fast manifestations beyond anything before. Old Belief #1: My new 4 bedroom luxury home is not here yet! It should be here already. I had spent the last two years visualizing the perfect home and writing it down. I had photos of my ‘dream home’ on a daily manifesting movie. I had been looking at the outcome as that particular house with detailed features. In November it came to such urgency that I had to dig deeper. By then we had outgrown our 3 bedroom standalone townhouse; my oldest son was finishing high school and my youngest was starting a new school in January. I had worked energetically on releasing many, many (many) issues brought up by my strong desire to move including my feelings of frustration, residual fears from childhood around loss of home, grief and risk. In addition I had created huge emotional challenges at our home Resort with disagreements and security issues. But I continually worked on my emotions as they came up. I saw them as the gateway blocking me from what I truly wanted. When I finally stopped trying to work on doing it my way (figuring out how to sell our home first) I got down to what I really wanted NOW, and that was simply to MOVE! I then walked around saying “we are moving, we are moving, we are moving”. I put pictures of people moving boxes on our fridge and imagined being happy with moving. Within 2 weeks I found myself amongst boxes packing up a friend’s kitchen. I realized the connection and laughed. At first I was going to say “no, it’s supposed to be me!” but then I accepted that this was a wonderful movement toward exactly what I wanted. I trimmed the strangers’ faces out of the photos and affirmed ‘yes’ to this movement. Not more than 2 weeks later my husband was talking to a friend who wanted to lease out his luxury house and it all fell together incredibly quickly after that. We effortlessly moved the week before Christmas, even getting tenants into our townhouse very quickly. We did not have to wait for the market to change or a singular perfect buyer. We now have our own pool, our own beach, a gorgeous outdoor Bali hut, 4 large bedrooms plus a study for my office. We live on “The Island” and I am feeling so grateful to the Universe for hearing all the details of my desires and answering them in so many ways. My boys are so happy here. My husband and I wake up looking at the dawn sky over the pool and lake. My old belief was transformed into “Oh, yes, of course it’s coming NOW” before it happened. Old Belief #2: I am afraid I might become arrogant about being rich beyond my wildest dreams. I didn’t even know I had this belief hanging around until I had a workshop participant bring it up as her fear of getting rich. Since the people around me reflect my thoughts, I did some energy work in this area and was surprised that I was afraid of my own power. Now that I have received a huge part of my luxury dream, I can say that I feel more humbled than anything. I am so content as I watch my family together exploring this new way of living. I am inviting my friends to come and play and it feels like an extension of my life; like a new exciting chapter. Old Belief #3: It’s ok to be in debt. Lots of people use debt to get ahead. Over this last year, this has been a significant part of my journey, because two years before, in 2008 I had challenged an old belief that “debt is bad”. I chose to get back into personal debt, even after we had become mortgage free. We bought a beautiful Toyota Prius Hybrid and it felt great. We still love this car and the freedom it gives in contributing to a new breed of auto technology. I also invested in my business and took some wonderful personal development courses, plus became a certified Success Coach by flying over to the States and being trained by a highly regarded Master Coach who was Tony Robbins’ producer for eight years. She also developed coaching programs for John Gray, Stephen Covey and Bob Proctor among others. It was well worth it to gain so much from her expertise on not only coaching, but how to market high level leadership coaching powerfully. Then, two years down the track, the interest rates in Australia began to climb. There were six (6!) consecutive interest rate hikes over 8 months, and suddenly the amount I paid for my debt became significantly more. It really caught me off guard, because it suddenly felt like a real lack of freedom. Even though the debt and interest amounts were insignificant compared to others with large mortgage debts, I had to face my feelings about debt. I then released so much energy around being in debt and being out of control of finances. It was all old stuff and I was so ready to release it. I did my worldly research on the credit system of the world as the stock market crash played out. I got the information I needed to make much more powerful decisions in my life, and finally, I made a commitment to switch to cash. What a learning, both within and without! The home had to manifest without a mortgage or any debt, and it did exactly that, perfectly! Old Belief #4: Abundance looks like spending without thinking about it. I was not switching to debit cards and cash because I could not get credit. Instead, I learned especially that the wealthiest people on this planet are good stewards of wealth and to them, abundance is not just throwing money around or spending without thinking; quite the opposite (thanks to Eben Pagan among others for this wonderful lesson on how to FLOW my wealth as it comes in and goes out). My Step 7 speaks of Circulation and how it works. I have always had a healthy respect for getting value for my money. Now I spend, save or share with freedom, because I am clear on my needs being met by the FLOW of cash. I do not spend until the money is manifested there. This is so important because in hindsight the Circulation principle only works powerfully when money moves in the NOW. When we spend from the Future energy we are going against Universal principles of Flow and there is ALWAYS, ALWAYS (ALWAYS) a reckoning day. I must manifest in the NOW when I have a desire. Now that I have aligned myself with this wonderful way the Universe works, I have clarity about when the time is NOW to spend, and when I need to do my internal work to increase the inflow and manifest powerfully. This way I have been graced to experience what a great co-creator I am when I am aligned. It is awesome and I invite you to consider some of these learnings. During 2010 with each old belief that I truthfully explored, many challenging circumstances and feelings came up. What I did to release those feelings was to allow them to be there, and then used energy releasing techniques to experience them and let them go. 1. 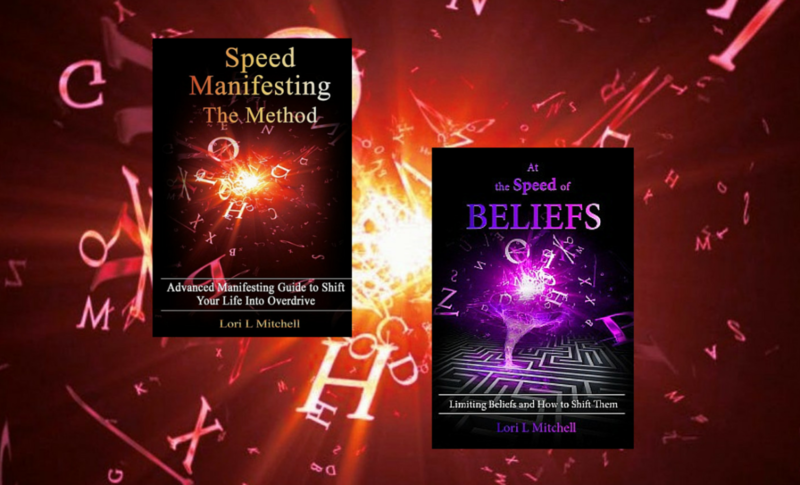 Know the steps to Creating (SPEED Manifesting™ inclusively covers all seven steps). 2. Know what slows you. 3. Know what to do when you are slowed. I know how to create. I have that process down pat, and SPEED Manifesting™ was developed from my success at repetitively getting consistent results. However when we have beliefs in the way, we need to go within and deal with those so that the natural Creative Process can work its magic. It really is simple and you can move step by step toward even your biggest dreams. If anyone tries to complicate it, then they have not yet come to the Truth of How Life Works and How Human Beings are Designed. Once you learn and practice the 7 Steps of SPEED Manifesting™, work on your internal energy-thinking-feelings. This is the necessary “work”. Everything else then flows and unfolds without effort, very quickly. 2011 is already looking great! Next → Next post: Manifesting Review: Have you got all the ingredients? Thanks Lietta. I appreciate that you can see the truth of my sharing and how important it is to be upfront about our challenges and beliefs that continue to slow down our manifesting. Breaking through the beliefs is the freedom. Lovely to hear your comments. He finally grabbed the snail attached to his rear end and achieved a fine prize. Life’s like that, isn’t it? A bit of persistance goes a long way! Joy and laughter to you. Thanks so much Margaux. It feels like this year is for all of us not to own but to share. That comes across strongly for me too, and that feels wonderful! WOW Lori, fantastic achievements in 2010. I know Speed Manifesting Works because I have been using it throughout 2010 and have had huge changes in the right direction in my life. I love this – and its so easy. Good for you for totally practcing what you preach….nothing beats getting your own lessons…… brilliant work. Best wishes for a successful 2011 full of love and abundance.